The long-awaited inside story of Bob Marley's rise from obscurity to global legend is to be streamed live across the world on Mon 6th August after receiving rave reviews in film festivals across the world. 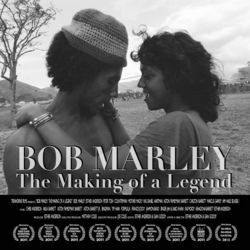 The award-winning musical documentary (written and directed by Esther Anderson and Gian Godoy), "Bob Marley: The Making of a Legend" (NOT to be confused with the mainstream film, "Marley") features masses of unseen footage of Bob Marley and the rest of the Wailers from the early 70s, in the days before they were famous, shot by Bob's girlfriend at the time the Jamaican actress, photographer and film-maker, Esther Anderson. It is currently being screened in London to coincide with both the 50th Anniversary of Jamaican Independence and the London Olympics and is to be offered simultaneously to the world via live streaming. You can download this groundbreaking, intimate and controversial film via iTunes from Monday 6th August. Based on footage shot in the early seventies and lost for more than thirty years, NAACP Image Awards winner Esther Anderson takes us on a personal journey to Jamaica and into 56 Hope Road, Kingston, to see and hear the young Bob Marley before he was famous. 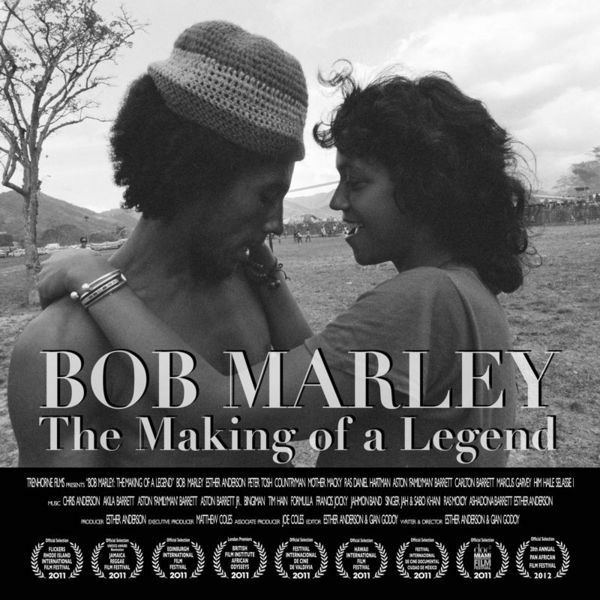 While exploring the powerful relationship between Esther and Marley, the film shows us the Wailers' first rehearsal, when the idea of a Jamaican supergroup like the Beatles or the Stones was still just a dream, and sits in on the launch of their international career with "Get up Stand up", "I Shot the Sheriff", and the "Burnin" and "Catch a Fire" albums that brought to the world Reggae music and Rasta consciousness together as one, starting a revolution that would change rock music and contemporary culture. The cast: Esther Anderson, Bob Marley, Peter Tosh, Aston Familyman Barrett, Carlton Barrett, Countryman, Mother Macky, Ras Daniel Hartman, Sylvia Richards, HIM Haile Selassie I. The musicians: Chris Anderson, Aston Familyman Barrett & Aston Barrett Jr, Bingiman, Francis Jocky, Formulla, Akila Barrett, Esther Anderson, Tim Hain, Singer Jah Feat. Sabo Khani, Irie Jam Productions, Ras McKoy. The original soundtrack: Peace Love in Harmony, Not Alright, One World, Tough Life, Spirit is Alive, Love Reggae Music, Rootsman Dub Vibes, Changing People, Wanted Man, Say Good Morning, Cry for Love, Jah Calling Me, Jah Mek Ya.